File contains copies of Canadian Government Railway Circulars No. 16 (October 30, 1914) and No. 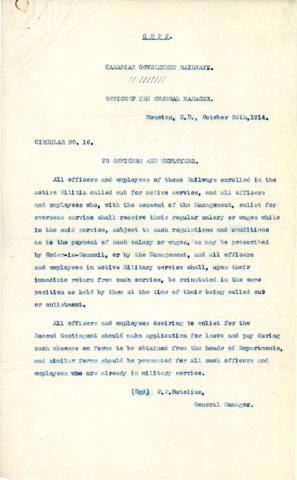 26 (November 8, 1915), pertaining to leave taking of enlisted employees.